Ivanka Trump, South Korean President Moon Jae-in and North Korean General Kim Yong Chol joint the closing Winter Olympic Pyeongchang 2018 South Korea while Noth Korea offers open talks with U.S.
VietPress USA (Feb. 25, 2018): The Olympic Winter Games opened since Feb. 9, 2018 in Pyeongchang, South Korea, just closed today on Sunday night, Feb. 25th, 2018 with humanity's finest athletes marching and celebrating. US government sends President Trump's first daughter Ivanka Trump to attend; while North Korea sends Intelligence General Kim Yong Chol, vice chairman of North Korea's ruling Workers' Party Central Committee, to participate the closing ceremony. 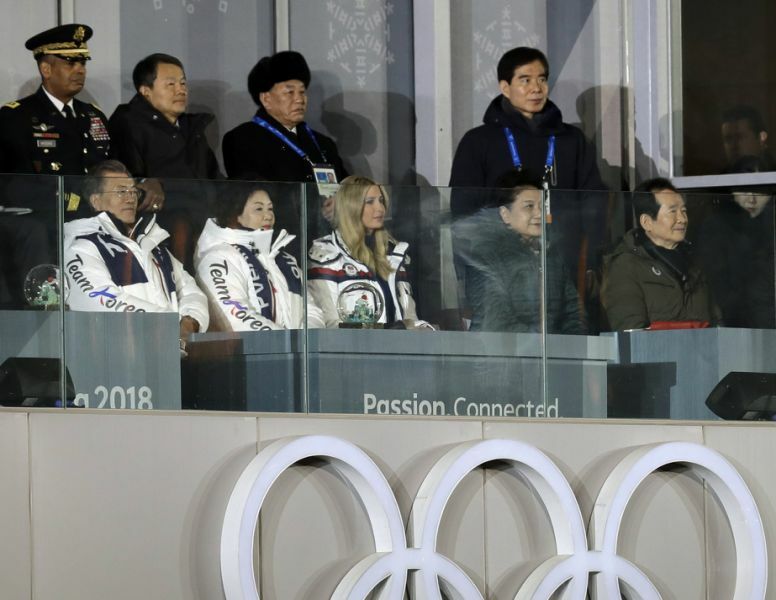 Ivanka Trump sit next to the South Korea's First Lady Kim Jung-sook and South Korean President Moon Jae-in at the first row on the left. North Korean General Kim Yong Chol sit at another first row on the right. Russia hacked at least 300 computers of the Olympic Winter Games in South Korea 2018. 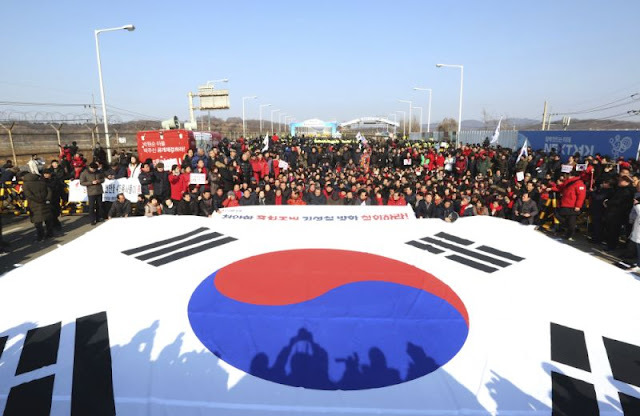 PYEONGCHANG, South Korea (AP) — The overtly political 2018 Winter Olympics closed Sunday night very much as they began, with humanity's finest athletes marching exuberantly across the world stage as three nations with decades of war and suspicion among them shared a VIP box — and a potential path away from conflict. "We have been through a lot so that we could blaze a trail," said Kim Eun-jung, skip of the South Korean women's curling team, which captured global renown as the "Garlic Girls" — all from a garlic-producing Korean hometown. They made a good run for gold before finishing with runner-up silver. The games started with a last-minute flurry of agreements to bring North Koreans to South Korea to compete under one combined Koreas banner. 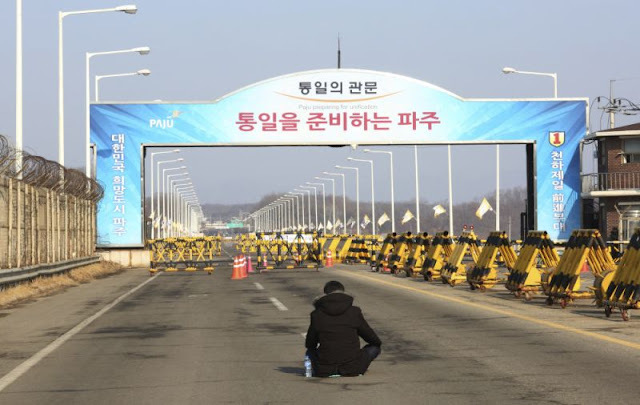 Perish the thought, some said, but Moon's government stayed the course. 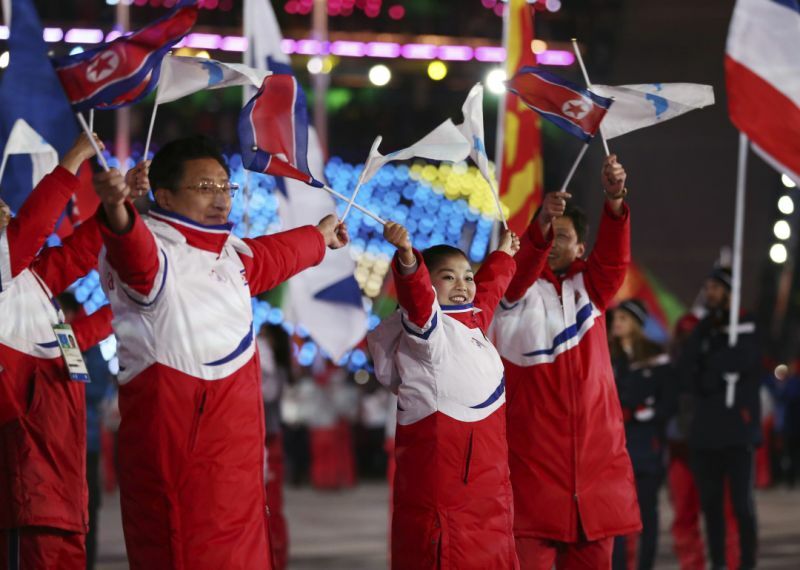 By the opening ceremony, a march of North and South into the Olympic Stadium was watched by the world — and by dozens of North Korean cheerleaders applauding in calibrated synchronicity. 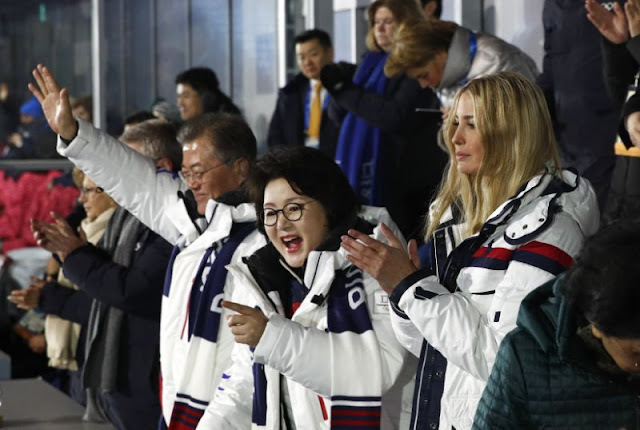 Kim, President Donald Trump's daughter and Moon sat in close proximity as the Olympics' end unfolded before them and the statement was released in Seoul. Also seated nearby was Gen. Vincent Brooks, commander of U.S. forces Korea. Unlike Pence, Ivanka Trump was smiling as she turned in the North Koreans' direction. It was not clear what she was smiling at, but a White House official said it was not the North Koreans. 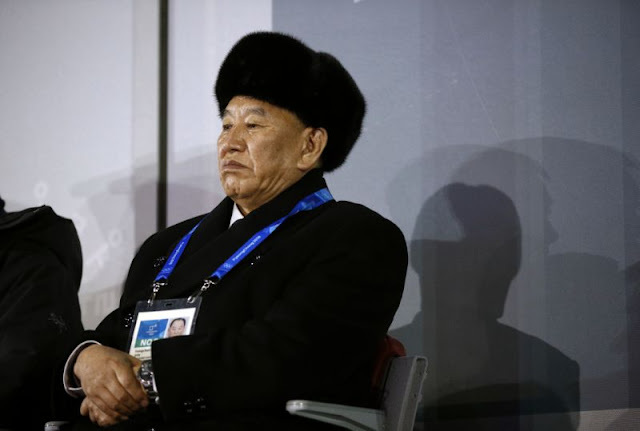 The developments Sunday both inside and outside the VIP box were particularly striking given that Kim Yong Chol, now vice chairman of North Korea's ruling Workers' Party Central Committee, is suspected of masterminding a lethal 2010 military attack on the South. That wasn't all when it came to these odd games. Let's not forget Russia — or, we should say, "Olympic Athletes from Russia," the shame-laced moniker they inherited after a doping brouhaha from the 2014 Sochi Games doomed them to a non-flag-carrying Pyeongchang Games. Away from the politics, humanity's most extraordinary feats of winter athletic prowess unfolded, revealing the expected triumphs but also stars most unlikely — from favorites like Mikaela Shiffrin, Shaun White and Lindsey Vonn to sudden surprise legends like Czech skier-snowboarder Ester Ledecka and the medal-grabbing "Garlic Girls," South Korea's hometown curling favorites. What's next for the games? Tokyo in Summer 2020, then Beijing — Summer host in 2008 — staging an encore, this time for a Winter Games. With the completion of the 2018 Pyeongchang Games, that Olympic trinity marks one-third of a noteworthy Olympic run by Asia. For those keeping score at home: That means four of eight Olympic Games between 2008 and 2022 will have taken place on the Asian continent. Not bad for a region that hosted only four games in the 112 years of modern Olympic history before that — Tokyo in 1964, Sapporo in 1972, Seoul in 1988 and Nagano in 1998. Japan and China will, it's likely, be highly motivated to outdo South Korea (and each other). It might not happen. But it could. That could be said about pretty much anything at an Olympic Games, inside the rings and out. Corporate and political and regimented though it may be, that's what makes it still the best game in town for an athletic thrill every other year — and yes, sometimes a political one, too. Ted Anthony has been the director of Asia-Pacific news for The Associated Press since 2014. Follow him on Twitter and Instagram at @anthonyted. 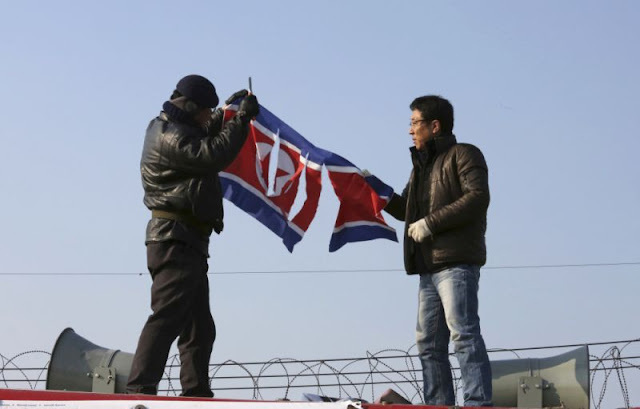 AP writer Kim Tong-hyung contributed to this report.